Bards may be swashbuckling adventurers, contemplative wordsmiths, or raucous performers. Regardless, they all share a love of music and the written arts in all their forms. Though it may seem strange, a bard has perfected his voice and body to such a finely honed edge that a skilful one can stand his ground against even a fully-armoured knight. The Bard class is a rather recent formalisation of the wisdom of the Great Bard, Scarlatti, God of the Arts. 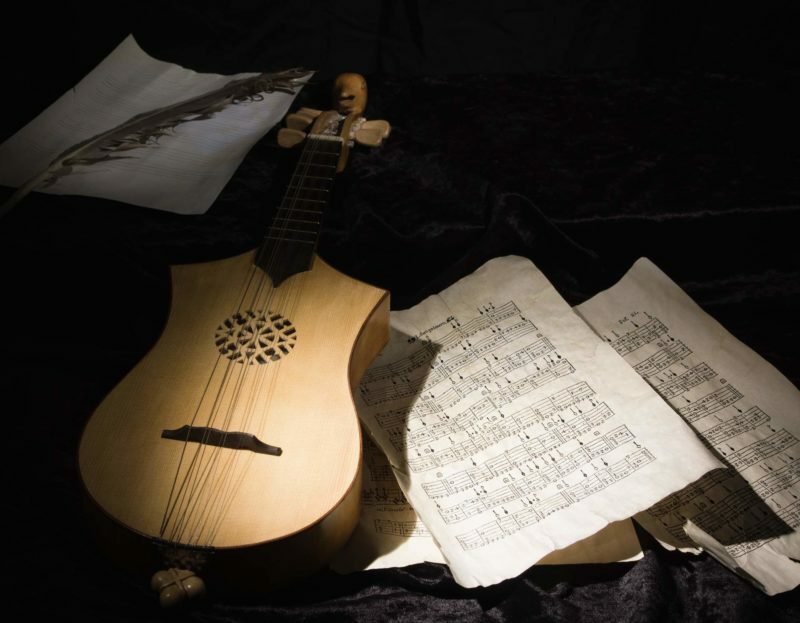 During a casual festival of the arts, Ralph Mercadia, long a singer and performer, learned the songs of Scarlatti and was encouraged to continue to develop the songs and skills of the Bard by that ancient deity. Thus was born the still-young class of Bard. Bards may be swashbuckling adventurers, contemplative wordsmiths, or raucous performers. Regardless of the path they choose, they all share a love of music and the written arts in all their forms. This focus on creativity must not be mistaken for a careless attitude towards life, however. Though it may seem strange, a bard has perfected his voice and body to such a finely honed edge that a skilful one can stand his ground against even a fully-armoured knight. Harmonics embodies all that is beautiful in music, from voice and instrument, brought together. Speed your allies, restore their health, and protect them from damage. Accomplished practitioners of this art can create multiple harmonics in one place, send them to other locations, or call them back with a word. Harmonics generally require use of one of the five bardic instruments - flute, lute, lyre, mandolin, and harp. Lament The shadowy lament may cause fear in those who hear it. Control Master the manipulation of your harmonics. Anthem A mighty defensive harmonic protecting against damage. Harmonius Allows communication in all distinct languages. Polyphony The ability to maintain two harmonics simultaneously. Andante Call your harmonics to you. Cacophony Destroy the reverberation vibration of a magi. Minuet Induce a state of extreme gullibility in an opponent. Aeternam Access the place of eternal song to store harmonics. Poes Draw on the Place of Eternal Song for emergency needs. Counterpoint Set up three harmonics simultaneously. Rondo Call out the rats with their favourite melody. Contradanse Periodically afflict your enemies' minds. Paxmusicalis Declare an intermittent musical peace. Gigue Decrease equilibrium recovery time for your allies. Percussia Create a sonic explosion. Bagatelle Deliver periodic magical damage against your enemies. Simpleharmony The ability to place four harmonics in a room. Partita Protect other harmonics from disturbance. Battaglia Project your harmonics into neighboring rooms. Berceuse Put an enemy to sleep with this soporific tune. Continuo Regenerate physical well-being with this movement. Complexharmony With this, you may set up five harmonics in a room. Wassail Restore mana for allies with the jaunty Wassail. Chorale A group harmonic that gives experience to the listeners. Funeralmass The dark, mournful mass with the power to slay. Canticle Decrease balance recovery time for your allies. Undertonal Maintain seven harmonics in a single room. Reel Disrupt the balance of enemies with this complex melody. Hallelujah Carry an audience to ineffable joy. Overtonal Your mastery is such that unlimited harmonics are yours. Swash your buckles with the best! 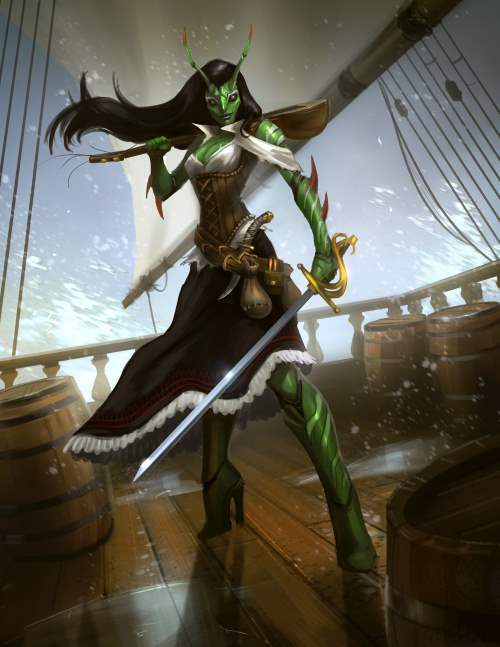 Swashbuckling combines fast movement with a quick wit, witty repartee, and a flashing rapier. Prove that elegance and subtlety of approach will always dominate over brute force. Swashbuckling combines a rapier and a keen mind to produce a truly effective fighting machine. The skill includes methods to deal death from above or parry multiple places at once, your blade moving with breathtaking speed. Moving between various specialised stances and dance about with acrobatic ease, avoiding any damage from your clumsy opponent's blade. Swashbuckling can only be truly effective when undertaken with a song-blessed rapier, as everyone knows. To gain the blessing, simply take your rapier to the Grotto of Song, which is off the beach in Tasur'ke. Once you have completed "BATHE RAPIER IN SONG" you will have the perfect tool for the ultimate swashbuckler. Swing Swing gracefully up into the trees overhead. Flourish Intimidate an opponent with a flourish of your blade. Backflip Flip over obstructions that stand in your way. Auralbless Use your song-blessed blade to remove deafness. Tunesmithing Harness the power of your songblessed rapier. Accentato Let your songblessed rapier sing out to harm your opponent. Riposte Unleash a strike of vengeance. Gripping Grip your wielded items in a deathlock. Knuckleslap Numb an opponent's hand temporarily. Thrustkick Kick your opponent out of the way. Raze Attack the defences that would keep your weapons out. Abscond Swing down and abscond with the rector's daughter! Acciaccatura Tunesmith your songblessed rapier against a specific limb. Drunkensailor A stance designed to make your movements unpredictable. Martellato Knock your opponent to the floor with this tunesmithing. Dodging Avoiding attacks from the sky. Heartsfury An aggressive stance that gives a chance of counterattack. Lunge A deep, piercing blow from an adjacent location. Deathfromabove The name says it all. Death, from above! Trueparry Such is your mastery that you may parry a larger area. 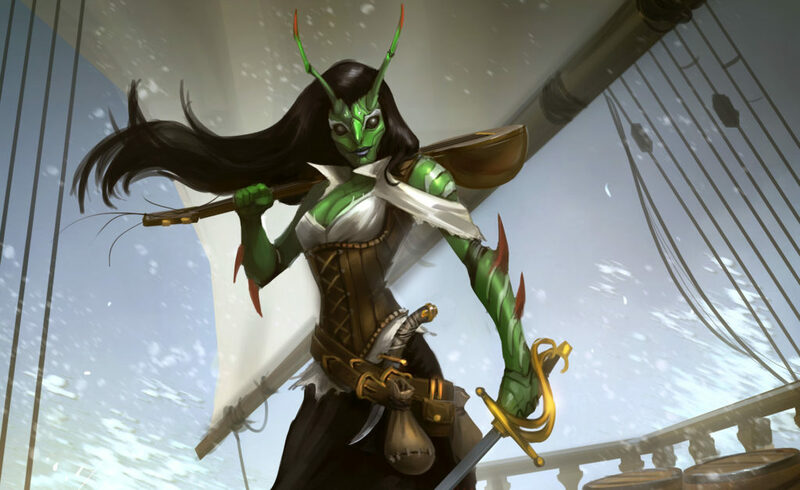 Pesante Stun an opponent with the power of your tunesmithed rapier. Voicecraft is the skill centred on using the voice, with or without instrumental accompaniment, to create various effects to aid yourself or those you wish to favour, or to afflict your enemies. Chant, sing, or recite your way to fame and glory as you shatter crystal forests, sing down shields, protect yourself from damage, or free yourself from various forms of binding - all through the power of Voicecraft. A unique feature of Voicecraft abilities is that they do not use or require you to have normal equilibrium or balance. They work on their own kind of balance called "voice balance." Maqam A graceful song of the desert to cause clumsiness. Lay Create a field of distortion to protect against fashioning. Haiku Alright, seriously now...what did that mean? Isorhythm Claustrophobia is only a few, droning notes away. Tune Protect against damage of all types. Dirge Soothe the hands of the grave. Fugue Instill fear with a complex fugue. Solo Drain the mana from a victim. Poem A poem of gluttony and decay to induce nausea. Yodel Shatter a crystal forest with an irritating yodel. Pastorale Cause a target to develop a fear of heights. Noise A screeching, meaningless noise that numbs the mind. Gimmegimme A chant of generosity sure to pay off. Ditty A ditty that will short-circuit one's brain. Limerick Sing an impatience-causing limerick at your opponent. March Cause even the most steady of mounts to panic. Requiem If you think they're out to get you, you're right. Tremolo Crush a target's legs with a sonic pounding. Vibrato Shatter an opponent's arms with a trilling vibrato. Epic Paralyse a target with an epic tale of heroism. Aria Give a friend a short-term health bonus. Prelude Fashion an illusion from song. Ode Addiction is a terrible disease. Cantata Sing down someone's shield. Dwinnu A chant that will disintegrate that which binds you. Qasida With a qasida of asceticism, afflict someone with anorexia. Passion Instill stupidity with a glorious passion of Imithia. Chant Strip defences with a sonorous chant. Songbird Whistle a helpful songbird to your shoulder. Soulfulvoice Sing through vibrational barriers to reach your audience.